When Apple released the iOS 5 beta 1 at the keynote of WWDC 2011, and kicked it out for developers only. Many developers reported that they found the evidences of next generation iPhone and iPad but with this they also reported that they didn’t find anything about the next generation iPod Touch. In addition to this, many rumors rose and suggest that Apple may going to break its tradition of iPod Event and will launch the next generation iPhone 5 on that event. But now it seems that there is next generation iPod references in iOS 5. 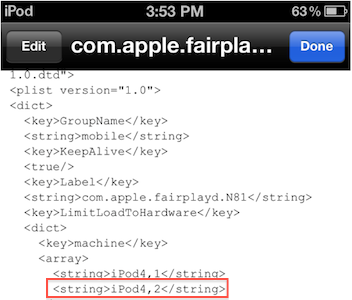 The eagle aye member of iFan Forum has just reported that he found the reffernce of next generation iPod in iOS 5, inside the “com.apple.fairplayd.N81.plist” file (located in /System/Library/LaunchDaemons/) there is a reference to the “iPod4,2” – a new reference to an iPod Touch. 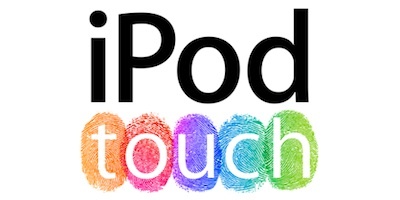 After this we believe that Apple will kick out the next generation iPod Touch and iPhone in same event with the iOS 5, expected to launch in September.